Let’s say that one fine day you wake up, go to the sink, start brushing your teeth and look up at the mirror and suddenly realise that you don’t like your teeth. You lived with the same set of Crooked teeth since childhood but now you can’t take them even for one more day. What do you do? You go to a dentist and s/he explains you all the options. The options like metallic braces etc. sound quite promising and impressive. But then s/he says that the entire process could take up to 2 years! Boom! All your hopes melt! Hang on! Not yet! Dr Gowds has got you covered! Dr Gowds brings to you Accelerated Orthodontics for the first time in Hyderabad! (Nothing can fix your teeth overnight but) this speciality reduces the time for orthodontic repairment significantly. Where general orthodontics take upto 2 years, accelerated orthodontics will give you the final results in under one year. 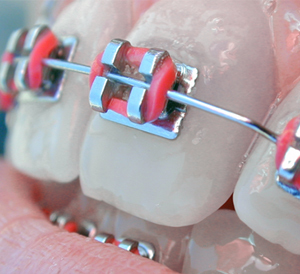 Yes, it is a bit more invasive than traditional orthodontics, but it also yields better results. During the process of accelerated orthodontics, the surgeon adds more bone material to your teeth. The extra bone gives added strength to the teeth and contributes to better appearance. Since it is an invasive procedure, it involves some degree of pain which depending on a person’s level of tolerance, can be managed with anaesthesia. Plus, you have to wear the dental assistive tools for a shorter period of time. Wearing braces for a long time takes a toll on your Dental health – brushing and flossing becomes difficult and that increases the chance of Tooth decay. But, with accelerated orthodontics, this time can be reduced which makes it better for overall dental health. However, during the period of the accelerated orthodontic procedure, you need to put extra effort to maintain a good oral hygiene to eliminate any risk of infection. So, if you have blamed your parents for not getting your braces done when you were younger, now is your time to move on from that anger and do something about it. It sure takes a number of visits to the clinic but it’s only a matter of 3 months. Patients from outside India has gone through this treatment at our clinic and has given positive feedbacks. So, walk, run, drive, ride, fly to Dr Gowds. Accelerated Orthodontics is one of those very few things where a ‘quick fix’ does not mean ‘ill fix’. It requires highly advanced medical tools and equipment and a very skilful dentist. But even the best things have some limitations. The only limitation to accelerated orthodontics is that it cannot correct if you have severe defects in your teeth or jaw settings. In that case, you will have to be patient and go through a regular orthodontic treatment.